Edited 1 times, last by Andyj541 on at Jun 17, 2017 6:31pm . I was really looking forward to getting all four sets of coilovers on my car in one day. No idea what I was thinking 😂 While I've heard these are pretty quality coilovers for the price, my initial impressions have not been great. 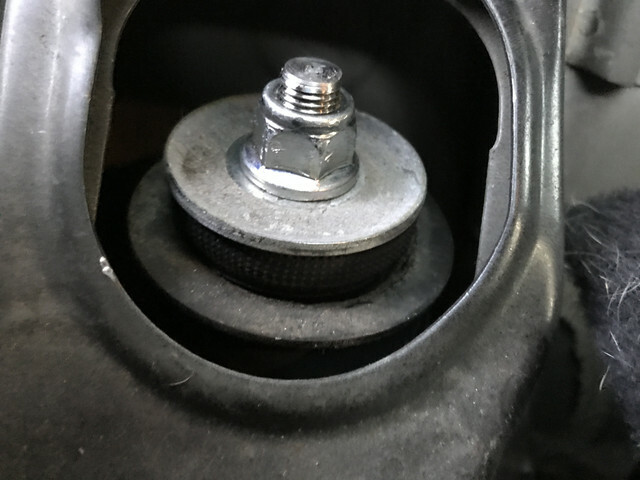 To begin, my stock top hats would absolutely not come out of my 07. They're somehow almost locked in place even after removing the three bolts on the top. After getting the first coilover in and bolting it to the top hat and to the lower assembly, I noticed the sway bar doesn't even remotely line up to the mount on the coilovers (: And of course, the coilover shaft doesn't feature an allen wrenching slot so without an impact the coilover is stuck on. Any ideas? 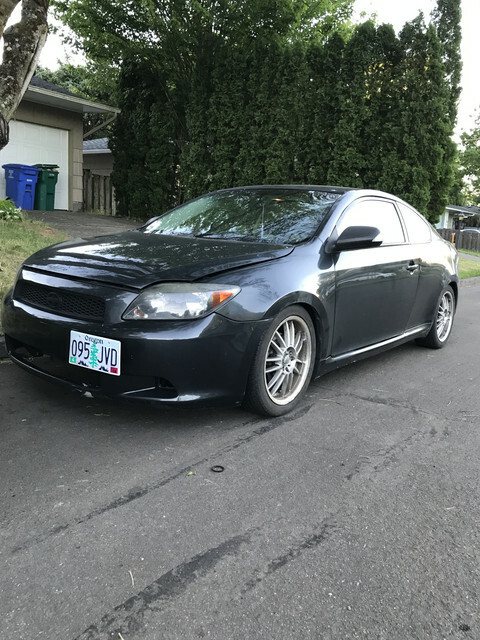 Should I just leave it to a shop to do it for me? What about the sway bar? Does this require an extended one? as the service manual says.. you need to take a wood block put it between the floor jack and the lower control arm, and raise up the lower control arm, that will begin to compress the strut/shock so that you'll see the sway link begin to move upwards so you can connect it. as far as the top hats..(sorry you should've asked us before hand, but it's ok). The way you remove those.. You first loosen the lower strut bolts but do not remove them, and again use the wood block and have the control arm compressed a little. Then you remove the top three nuts while the jack is supporting/holding the lower control arm. As you begin to lower the control arm, it will pull the top portion out. Then remove the lower bolts and take the strut out (once the sway link is removed of course). 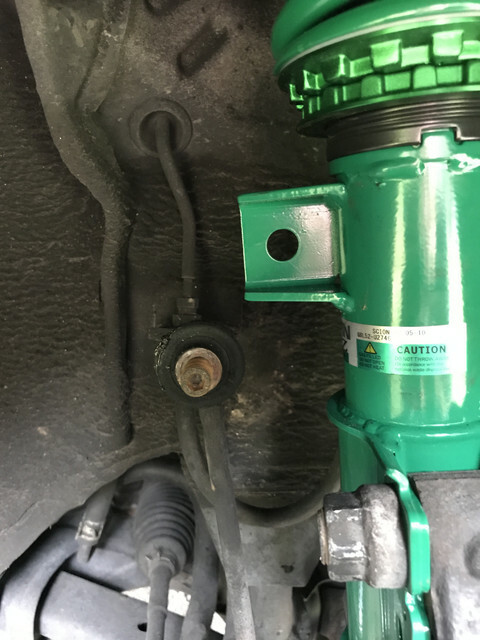 The other part to think about is if you made sure the adjustable perch on the coilovers is compressed high enough to allow the sway link connection to line up. Between all these ideas, this is how you remove/replace it all and it will fit. And no I've never even tried one day to do all the strut/springs. Not if I want it done perfectly. Awesome reply 🙏🏼 The whole instruction manual is in Japanese and the small bits that are in English don't really give me much information. I was watching YouTube videos and they didn't really say anything about the blocks so thanks! 😊 I might just attempt it all again next Friday. hey you're welcome! once you know the "trick" of installation all of a sudden it's easy! lol. here's to next friday and a successful install! The problem your have with the front sway bar end link is because you need to disconnect the opposite side end link so you can move the sway bar up or down. As for removing the nut from the piston of the shock, are you referring to the stock coilovers or the Tein? If you referring to the stock coilovers, there is actually an Allen hole for you to use to prevent the piston from spinning. 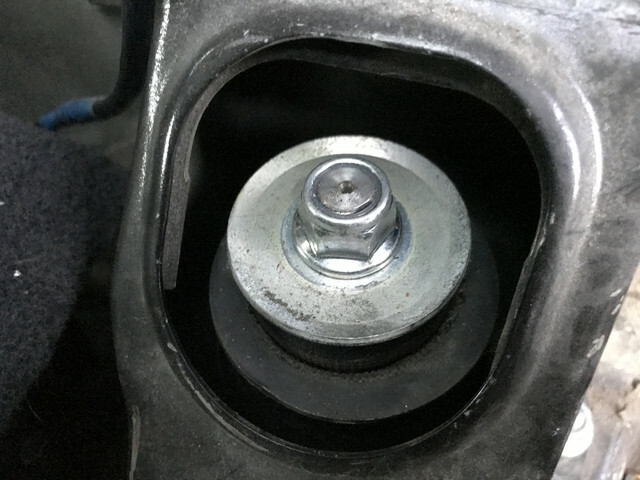 You can also try loosening the nut from the piston BEFORE you take wheels off and put your car in jack stands. Edited 1 times, last by Andyj541 on at Jun 25, 2017 9:17am . glad to hear you got it all done! now about the rear.. that center nut gets tightened when you have the shocks off the car. The stock one has a 6mm hex nut in the middle holding the shaft, while you use a box wrench (closed wrench) to tighten the nut. But in the picture you show, there's nothing to hold onto. I'm thinking that you call Tein's tech support and talk to them, they will know how to get it to tighten. The center shaft is just going to go spinning round and round if ya can't hold it in place. call them, definitely.